The Marvel Studios Scarlet Witch TV series in development for the upcoming Disney+ streaming service lands one of the writers of Captain Marvel, Jac Schaeffer. As previously revealed, the title will be The Vision and Scarlet Witch, with Paul Bettany and Elizabeth Olsen back in their Avengers roles. No plot details are known other than it said to focus on the two characters that are integral members of the Avengers, but it is known Schaeffer will write the pilot episode and executive produce. In addition to Scarlet Witch, Marvel Studios is also developing a Tom Hiddleston Loki series, and a team-up series featuring Anthony Mackie as Falcon and Sebastian Stan as Winter Soldier, with Empire's Malcolm Spellman on board as writer. The Marvel Studios Disney+ series are said to be around 6-8 episodes each and of a high budget and quality. Marvel Studios is not associated with Marvel TV who put out the likes of Inhumans and Agents of SHIELD in addition to getting their Neflix Marvel shows recently canceled. Disney CEO Bob Iger recently revealed the Marvel Studios Disney+ series will even be of a higher budget than the ABC shows. Last we saw of Vision and Scarlet Witch was in The Avengers: Infinity War when Thanos used the Time Stone to turn back time, revive Vision, and rip the Mind Stone out of his head, killing the android. Shortly after, Thanos would use all six Infinity Stones in unison to turn half the universe to dust, which includes Scarlet Witch, Falcon and Winter Soldier. Thanos killed Loki at the start of the movie. 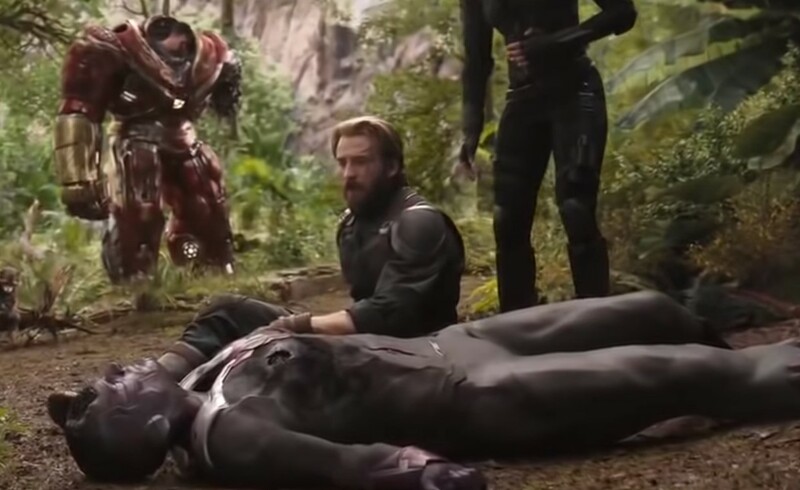 Infinity War ended with Captain America kneeling over the dead body of Vision.